Things continue to move forward even if they have slowed a bit. As you may have gathered from the title the last of the demo was finnishing up and all the drywall has been patched. We also have the electrical sorted. We decided to only have lighting under the bottom shelves. Trying to light all of them separately seemed a bit much and I think in the long run will result in a more consistent feeling feature. It was also a big week for fridges. 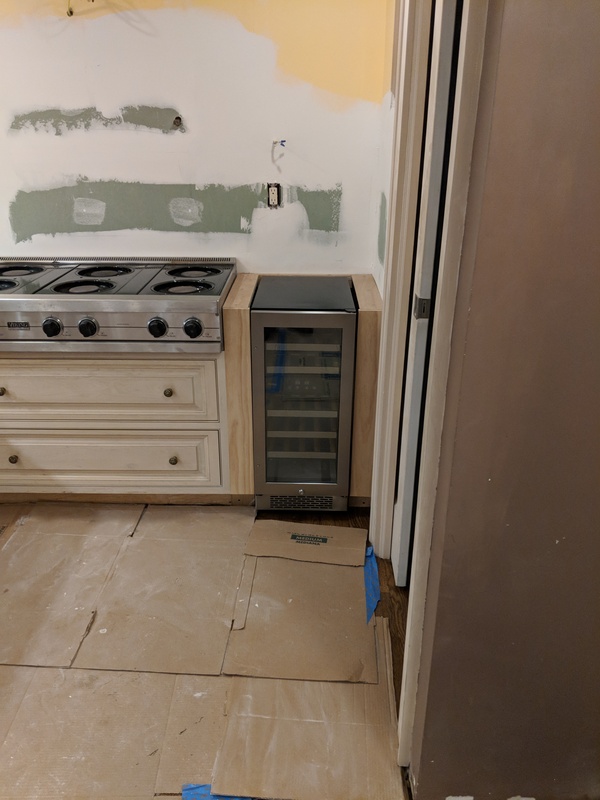 We got the wine fridge in place and all framed up, ready for the countertop. 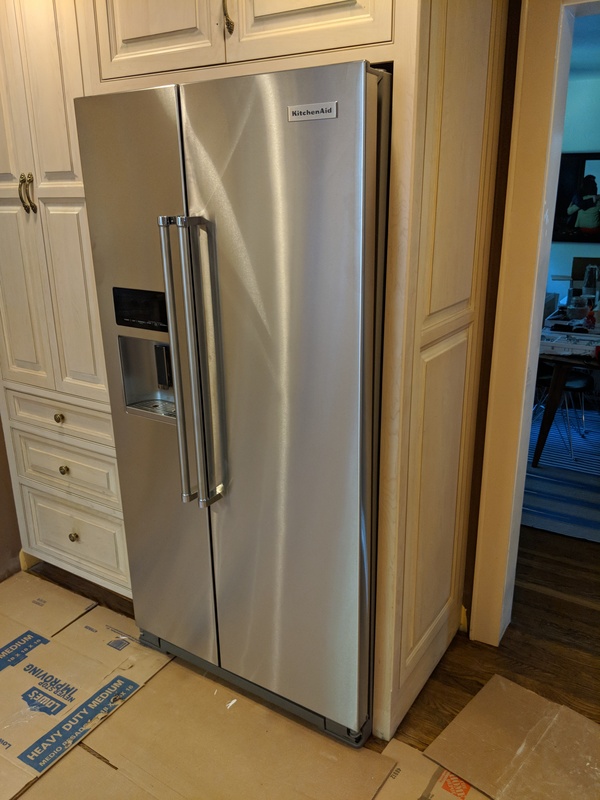 We also received the main fridge that turned out to be a perfect fit. It was all for the best after last week’s fridge disaster. We wound up with the taller model so it fits the caseing much much better. It is already making ice and life better. Next up is the countertops. Now, my guess is that they will be installed next week as this is a holiday week and it can be tough to schedule things. It looks as if we will have the island table done just in time for that install which is super exciting! 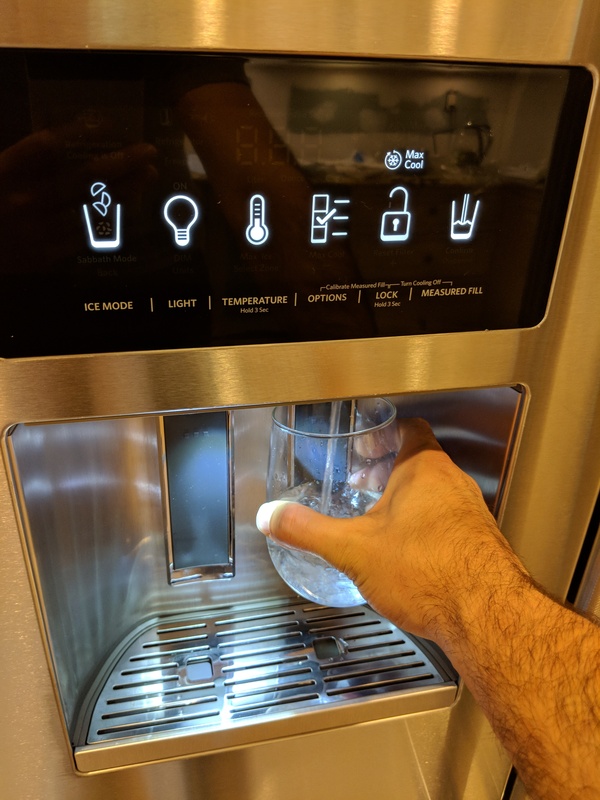 Hooked up the water abd it works! 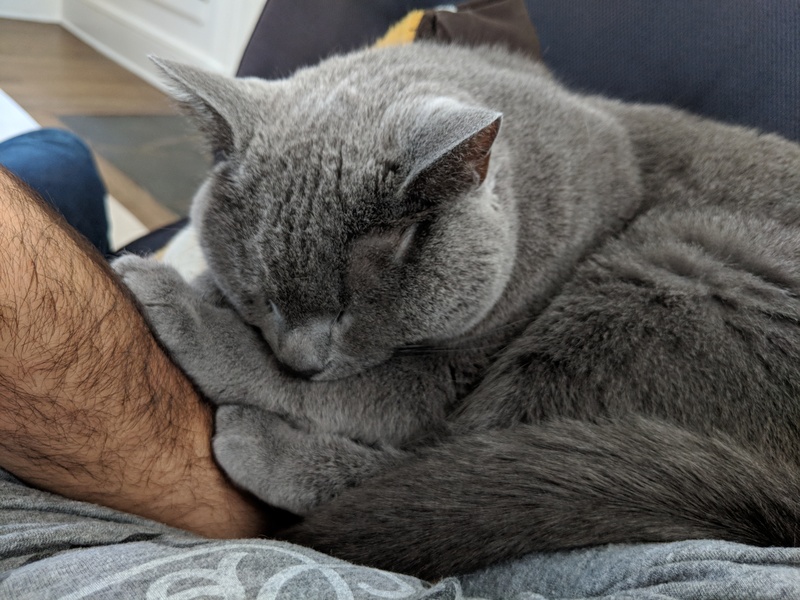 Buttfuzz was hanging with me.